This book is a continuation and must be read in order. This is NOT a stand-alone book. Time Analyst Sarah Weston has one job: Making sure travelers from the future don’t mess up the present-day timeline. 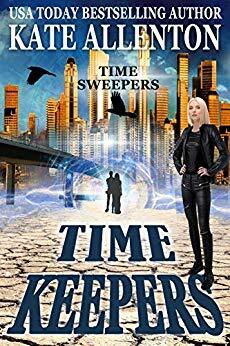 Chasing illegal jumpers and killing futuristic AI creatures looking for a new home were never in her job description. When the fabric of time is disrupted, she’s committed to stopping the rogue tourists by any means necessary. Even if it means she has to travel to the future herself. While the world has changed, even in the future the Time Council members are still arrogant, opinionated and bossy. To save the lives of everyone she loves, Sarah will break her own rules and jump back to where the danger started to neutralize the threat before they ever make their first jump. With killers hot on the trail, if she fails, everything, past, present and future faces catastrophic and irrevocable change. ..